What's your Yarmulke or Kippah Style? Impress with the best! Instead of another bag of after dinner mints, you can present your guests with a beautiful and personalized prayer booklet for them to use and then take home. Personalize your suedat mitzva benchers with elegant monogrammed designs and your logo to present an attractive keepsake and a fun way to fulfill the mitzvah of benching, saying Grace after Meals. Skullcap Co. can customize any of our large selection of benchers with both the style and the content of your choice, creating a practical party favor for all of your guests. 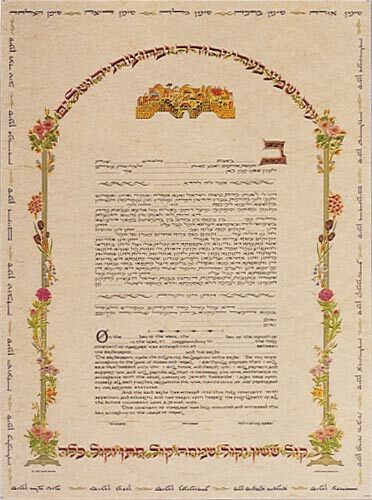 A ketubah is Jewish prenuptial agreement. 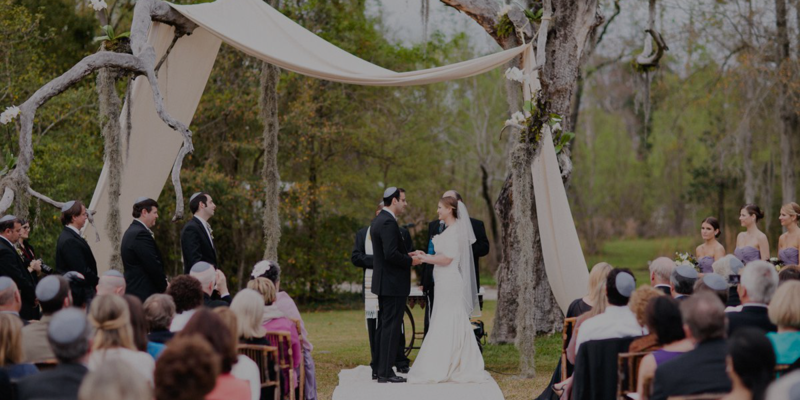 It is considered an integral part of a traditional Jewish marriage. 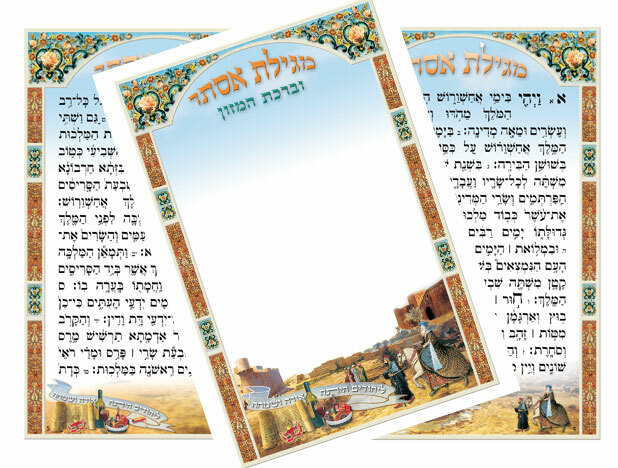 Our Ketubot are beautiful pieces of work, featuring popular artistic designs, while keeping the Jewish traditions alive. These Ketubahs, or Jewish wedding contracts, are fine works of art and an important document to be kept forever. Take your time to browse our selection of over ? beautiful ketubot. After all, you want the most important document of your wedding ceremony to be perfect and everlasting. 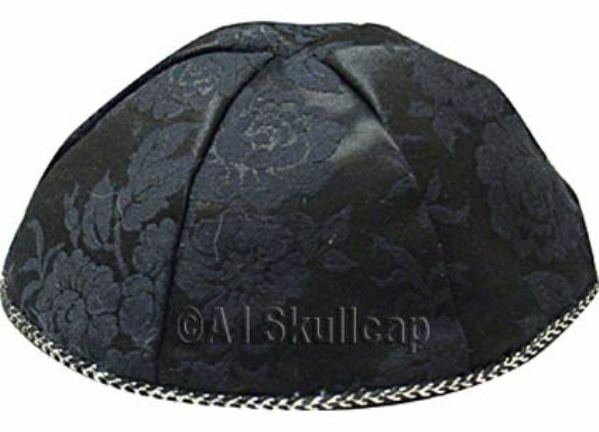 Skullcap Co. boasts a large variety of beautiful tallitot for Bar Mitzvah boys, Chuppas, or for everyday use. 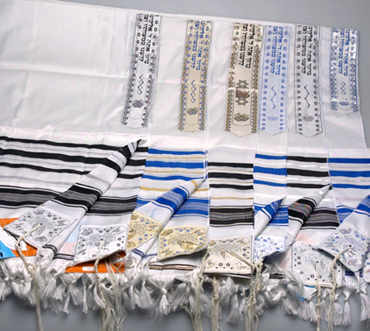 The talis is the prayer shawl worn by Jewish men during morning prayers. Skullcap Co.’s traditional tallit features a row of solid stripes across each end, available in a variety of colors. Our Carmel talits are beautifully decorated prayer shawls made of silk and cotton and feature lovely hand-embroidered beading. Whichever version you prefer, a new talis is an essential and highly anticipated part of a Jewish affair. 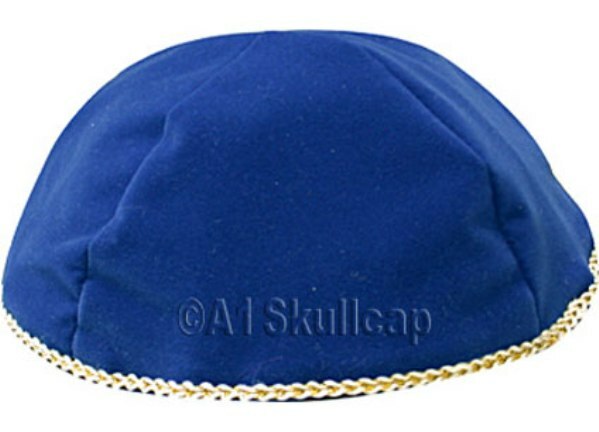 Present a Skullcap Co. tallos to a Bar Mitzvah boy for an unforgettable gift to be treasured forever. 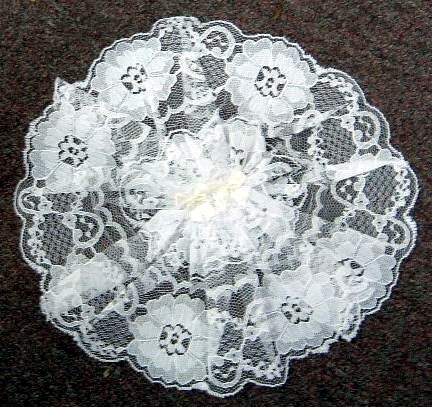 If you are looking for the perfect doilies or lace head coverings for your special maidens of honor at your Jewish affair, you’ve come to the right place. From simple to fancy, our designs meet the requirements of the most particular hostess. Along with the doily headpiece, shop our variety of clips and fasteners that keep wedding doilies and yarmulkes in place. 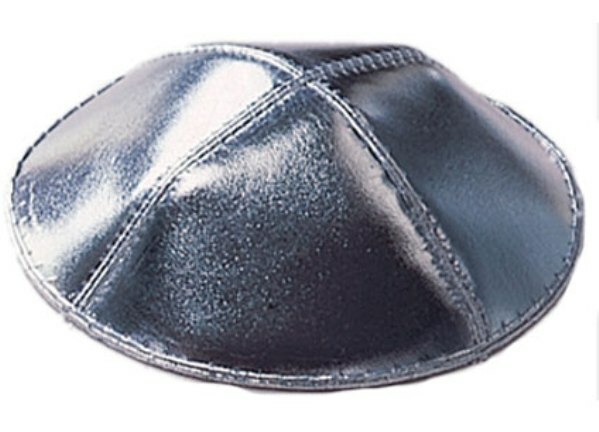 Protect your head while you protect and preserve beautiful, age-old Jewish customs and traditions. Personalized Kippot are the highlight of every Jewish event. 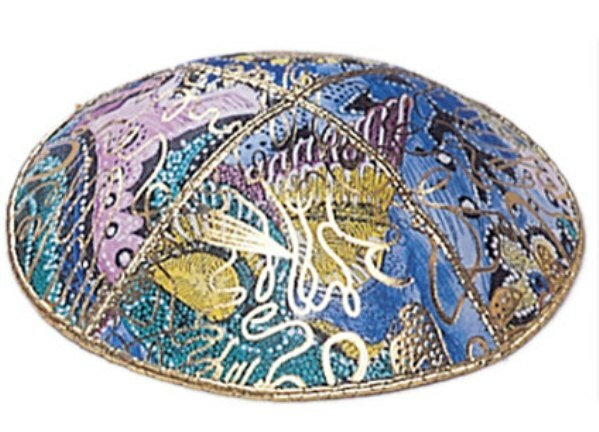 Whether you are celebrating a bar or bat mitzvah, a brit milah, or a Jewish wedding, made-to-order kippas will be the most sensational party favor for your guests. 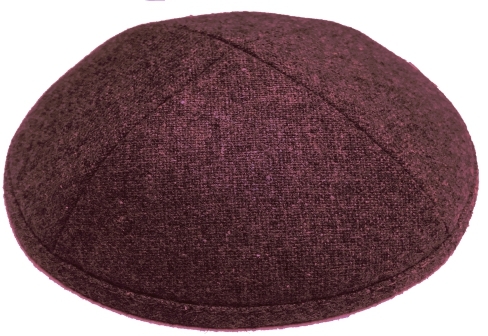 Skullcap Co. can create the kippah of your dreams. 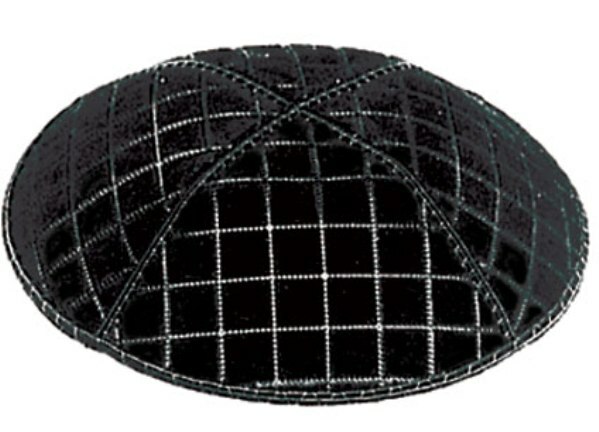 We design, create, and personally sew each kippah to suit your style, budget, and preference. English? Check. Hebrew? Check. Customized colors to match your celebration’s color scheme? Check. At Skullcap Co. we’ve got you covered! 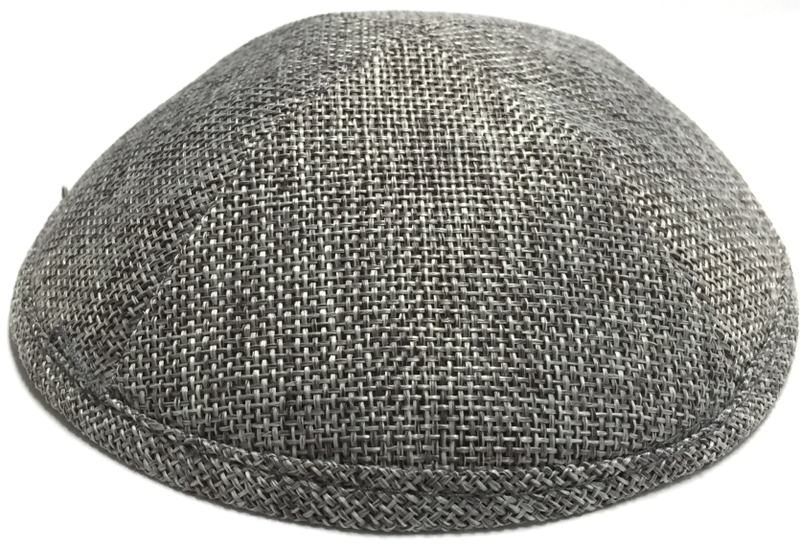 Over five decades of kippah manufacturing, meticulous attention to detail, and the biggest, most varied collection of kippots are just a few reasons why Skullcap Co. is the largest yarmulka source in the world. There's more than just fabric in a kippah. 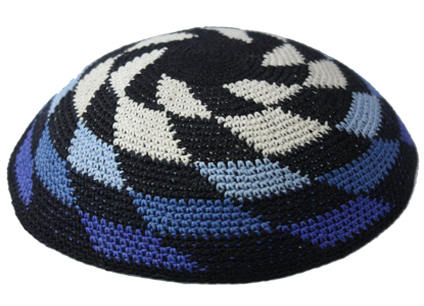 Every stitch on our kippah bears the distinctive stamp of Skullcap Co.’s exceptional quality. We create masterpieces worth wearing. Kipots need to fit right. That is why Skullcap relies on top talent to execute your orders. Our head seamstress, Shaindel, has been sewing yarmulkas for fifty years now. She expertly guides our team of 20 tailors on our factory floor, using only fabrics and threads that meet the highest industry standards. 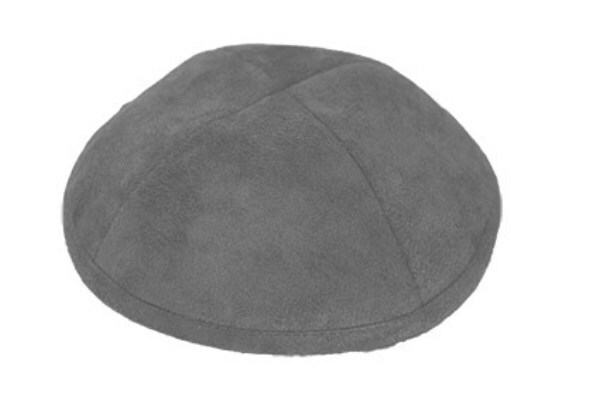 A magnificent Skullcap kippah is more than just a party favor; it becomes a treasured souvenir of your Jewish event. 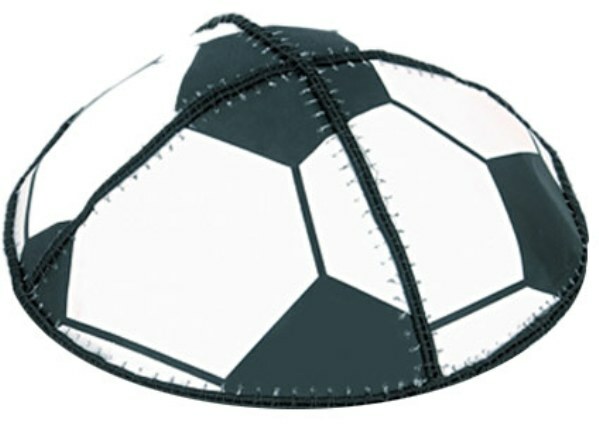 WHAT'S YOUR YARMULKE OR KIPPAH STYLE? WE'VE GOT YOU COVERED! 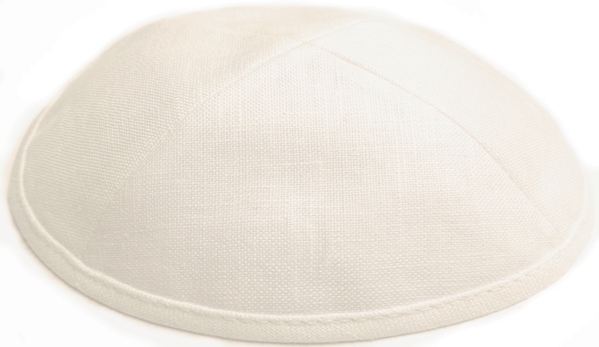 GET YOUR WEDDING BULK KIPPOT, BAR MITZVAH YARMULKES, BAT MITZVAH KIPPOT, AND FUNCTION CUSTOM KIPPOT DIRECTLY FROM THE KIPPOT SOURCE! 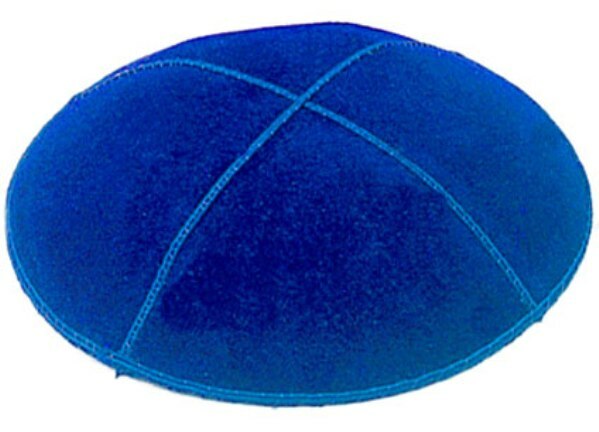 We make the kippot and Yarmulkes, we print the kippot and Yarmulkes, and sell the kippot and Yarmulkes - yes all on site! 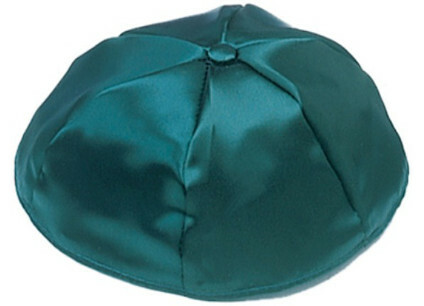 A1 Skullcaps adorn Jewish heads with kippot everywhere. For over fifty years, Judaica retailers and their customers have come to appreciate the value we stitch into every kippah. Now, we bring the world's largest yarmulke and kippah source to you. 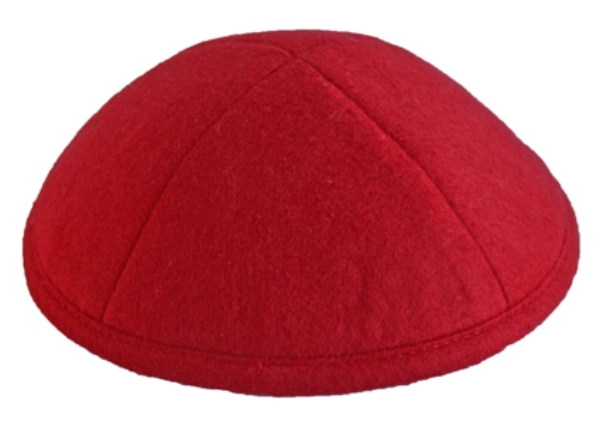 Our bulk kippot bear the distinctive stamp of the kippah and Yarmulkes and quality of all kippahs, we have a half-century of experience and expertise. 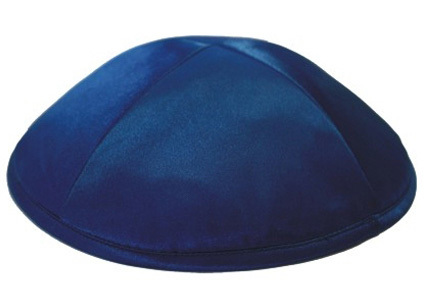 Plus, you can choose from our extensive selection of kippot, including classics like the satin kippah, moiré kippot, velvet Yarmulkes, and velour skullcaps, with the latest contemporary leather Yarmulkes and kippots, suede, foils, and knitted kippot specialty yarmulke styles. Choose a color to suit your taste, or your decor; and complement it with the perfect trim. Then, custom stamp on the underside, to create a cherished wedding or bar-bat mitzvah memento. So don't just order any kippot and yarmulkes. 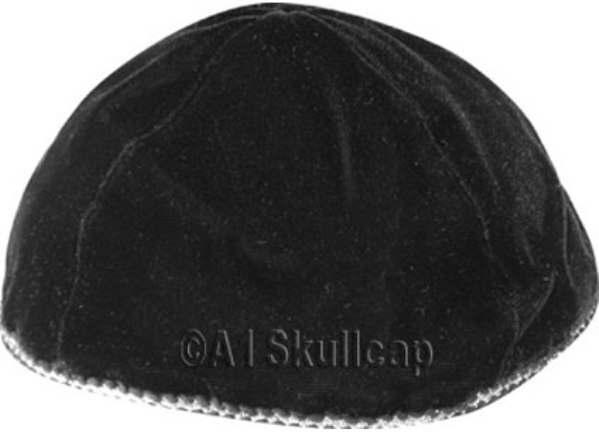 Order an A-1 Skullcaps kippah . WE COVER HEADS WITH KIPPOT & YARMULKES AND PRIDE. Kippot and Yarmulkes add a special touch to your wedding, bar mitzvah or simcha! 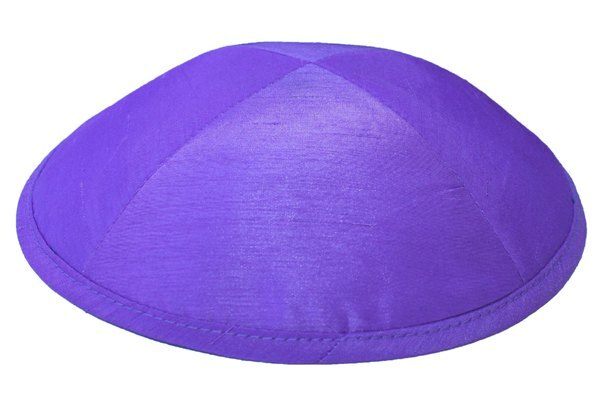 Personalized kippot and Yarmulkes are the item that adds a very special and exclusive favors for your guests attending your happy occasions such as Wedding, Bat Mitzvah, Bar Mitzvah or Brit Mila. 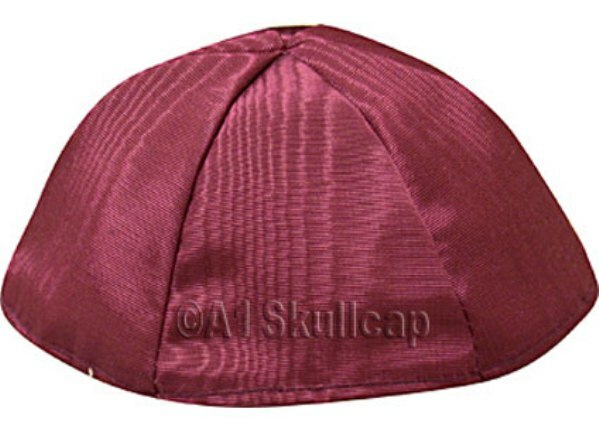 We personalize satin kipot and "suede look" yarmulkes in Hebrew, English or both. Make sure all your guests remember your Bar/Bat Mitzvah or Wedding. Order our beautiful kipot and adorn all heads at your Simcha! 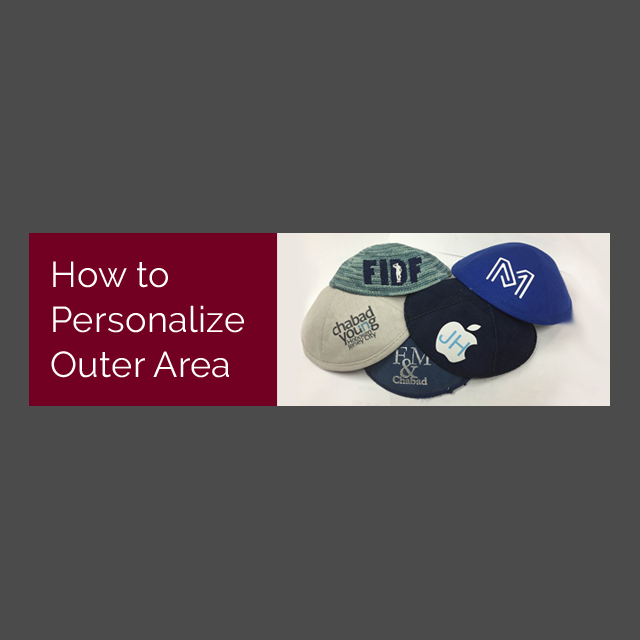 The designs of the Personalized kippot can be done either by you or can be done by us. We also supply talitot, , benchers, Tefilot (prayers), Zemirot (songs), scarves, Jewish ketobot,, ,skullcaps, and Judaica gifts, in any quantities for Bat Mitzvahs, Bar Mitzvahs, Weddings, Jewish holidays and Shabbat. You can also get Jordan Almonds. or Purim Baskets - Mishloach Manot and Hanukkah (Chanukah) Gifts and some Kosher Candy Chocolate and Nuts We offer hundreds of styles and colors of custom kipot, kippah, yarmulkes, kippa, kipa, yarmulkas, skull caps, head coverings, Jewish hats, Jewish caps, yamachas (or whatever you call them) for the entire family!